We heard your requests on customization of report pages and understand it is critical to keep your report layout pixel perfect. Earlier this month, we announced the support of pages view options. With this week’s service update, when creating new reports you can now choose from multiple page sizes as well as define your own page size. This controls the size and aspect ratio of each page in the report. Yes, you can assign a different page size to each page within your report if desired. Available page sizes include Dynamic, 4:3, 16:9, Letter and Custom (fully control the width and height of the page in pixels). This option can also be found in the formatting pane when no visualization object is selected. 1) Ability lock aspect while resizing images to avoid image distortion. 2) Scatter Chart bubbles can be configured to be filled or not. The added boarder can be particularly useful when bubbles are overlapping. 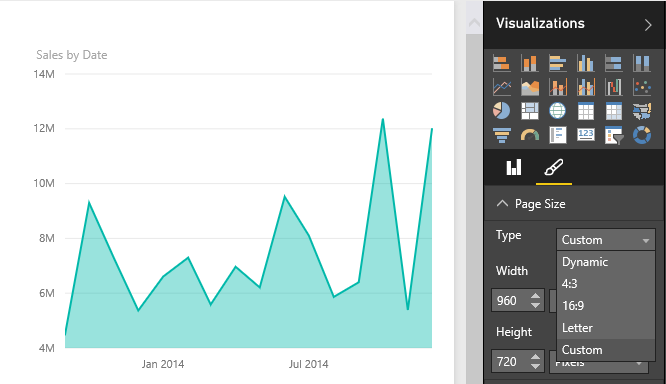 When someone shares a dashboard with you in Power BI, an invitation link is sent to your email. If your tenant does not have Exchange Online enabled or does not have a mail box associated with your ID, you were unable to access the sharing invite. Today, Power BI will send sharing invites to an alternate email address. When a dashboard is shared with you, we will send the sharing invite link both to your original email address and to your alternate email address (if you have it configured). 1. Click here to go to your Office 365 profile page. If you are prompted to, sign in with the email address and password you use for Power BI. 2. Scroll to the bottom of the profile page. Click the edit link in the Contact details section. If you do not see an Edit link, this means your email address is managed by your Office 365 administrator and you will need to contact them to update your email address. 3. In the Alternate email field, enter the email address you would like Power BI updates to be sent to. Today, Power BI will be available to all customers including those on the Dedicated on Multitenant (DonMT) O365 architecture. 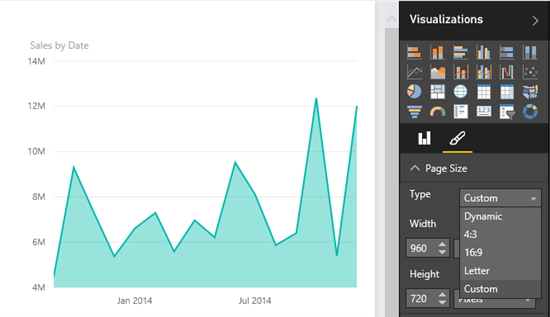 You will be using Power BI as a shared service in multi-tenant mode. In most cases, you can register for Power BI by following the simple self-service-signup process – just enter your work email address, enter your name and password to get started. If you are the tenant administrator, you can assign licenses to your users using the instructions here.